Why You Need This: Tachometer needle bouncing around, sticking in place, or not even working? The tachometer cable is a prime suspect. 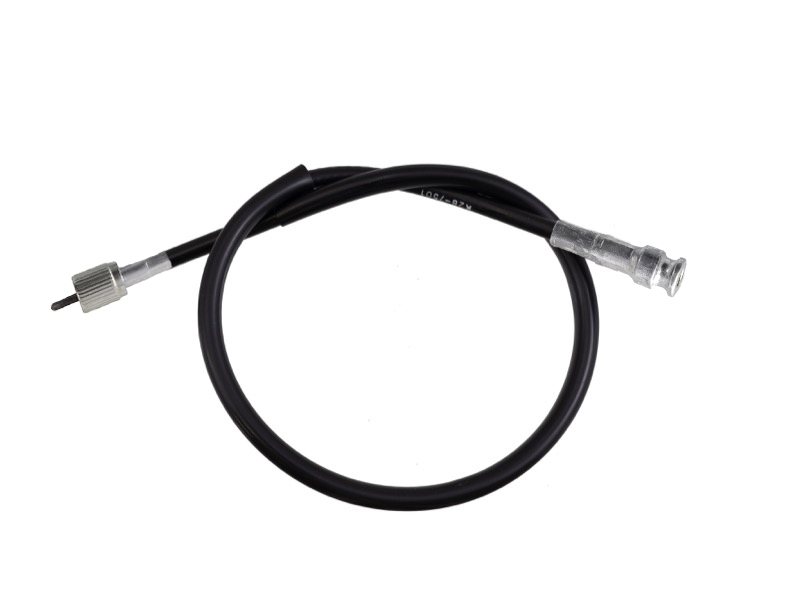 The tachometer on the Honda CL350 / SL350 / CB350; CL360 / CJ360 / CB360 and CB500K / CB550K / CB550F is mechanically driven by this cable spinning inside the housing. Over the years the tachometer cables tend to get stuck, have the ends break off or get a major kink in them. All of these issues can cause to the actual tachometer not to work correctly and needing to be repaired. The speedometer cable works in the same way, so it is worth checking too. Installation Tip: Make sure each end of the cable is properly seated and add a dab of light grease at either end. The screw on the drive end of the cable on the engine must be completely removed before the cable will pull out. The cable is exactly as advertised. Once again Common Motors came through. They are my official go to when I need anything for my CL350 K4. like everything from common motor, this tach canle arrived quickly & did the job perfectly. i go out of my way to buy anything i need for my 360 project from these guys because the quality of product & service is unmatched. I've swapped all my cables on my '72 CB350 to Common Motor's black replacements. My originals were cracked and yellowed and this is a great replacement and at the right price. Very pleased. I replaced all of the control cables on my CB350 including this one and all work and fit great. Just like the originals!